Punk and New Wave “standards” are thus reinterpreted in the dreamy style of 50s and 60s Bossa Nova, with its lush arrangements and entrancing vocals. Nouvelle Vague soon became a global phenomenon. In just a few months, Nouvelle Vague deconstructed the notion of “the cover band” and, supported by some of the most prestigious labels (Peacefrog, Luaka Bop, Rough Trade, Pias), delights an audience that almost forgets the original versions. Alongside singers Camille and Mélanie Pain, Olivier Libaux and Marc Collin create their first live show: a minimal show, with just two unique voices a guitar, a few keyboards and electronic ambience. With five studio albums and extensive global tours under its belt, Nouvelle Vague now celebrates its fifteenth anniversary. The band will be celebrating with an international unplugged tour in 2019, in keeping with the show’s original 2004 incarnation. “Out of this world “, ” Hautingly beautiful “, “Best show ever”: the reviews of the first English performances speak volumes. 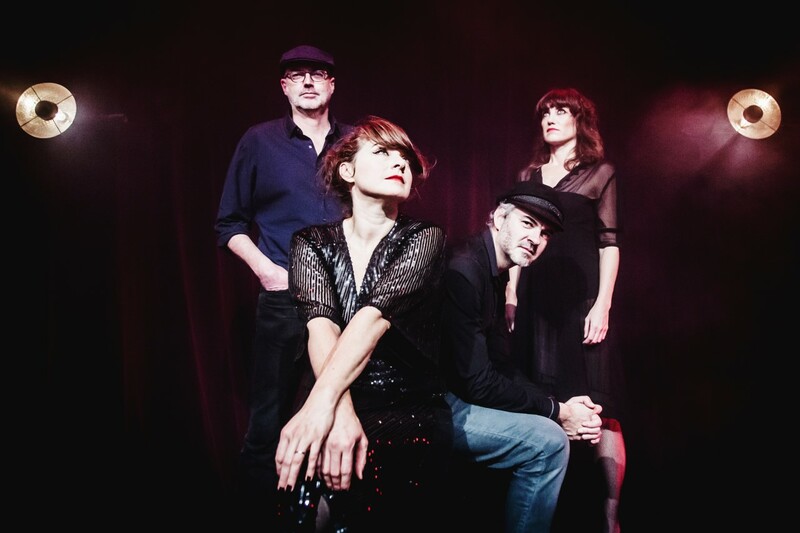 2019 will also see the release of the Nouvelle Vague By Nouvelle Vague documentary, which recounts the band singular history, as well as two new studio albums. The film, which culls the band’s archives (concerts, TV shows, personal photo, interviews), reveals the soul and the life of the group, which has revolutionized the concept of ” cover band “. Two albums are about to be released: “Rarities” (rare and bonus tracks) and “Curiosities”. The “Rarities” album is made up of bonuses and B-sides released on special editions, compilations, 45s and other physical media over the course of these fifteen years, but long out of print. In response to the 2004 debut album, which became an instant classic, Marc Collin and Olivier Libaux experimented with various musical paths. Many songs are thus recorded. The songs that are relevant to each album’s theme are released. But many covers would remain under wraps, while others, although ready for release, were relegated to the vaults. These previously-unreleased recordings are featured on “Curiosities”. For the last fifteen years, Nouvelle Vague has been resuscitating, sometimes introducing, dozens of songs from the New Wave and Punk repertoires – some quite well known, others almost forgotten.